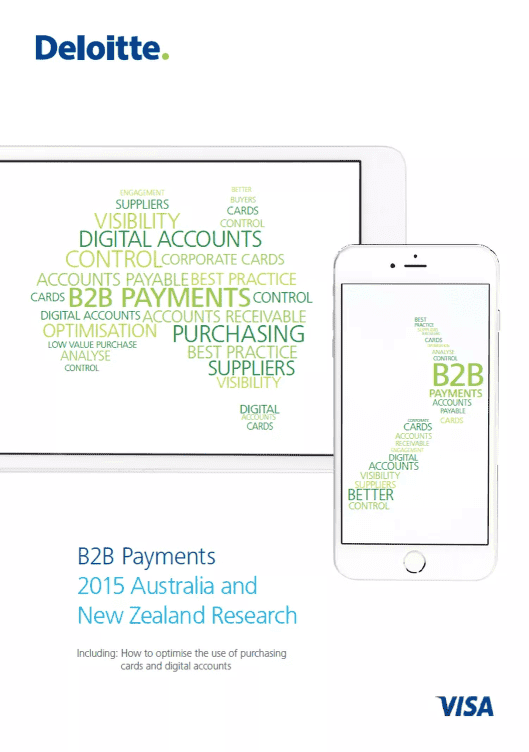 The study was conducted on 150 medium to large organisations, all of which make B2B payments. Findings of the study showed that business process benefits, speed improvements and cost savings were just a few reasons why electronic based methods of payment are consistently rated better than alternative methods. When making payments, 82% of respondents thought paying by card is faster, with a 40% improvement in speed vs a Purchase Order. 68% also claimed to have experienced a decrease in administration, with 74% less approvals and a 72% reduction in invoice processing costs. When receiving B2B payments, 45% of respondents found that accepting cards increased their sales. In addition to this, 73% believed it improved their cash flow and 49% indicated that cards actually reduced the cost of doing business. However, despite these findings it is evident that buyers and suppliers are proving to be relatively slow on the uptake of digital B2B payment methods overall. Results suggest this is driven by lack of guidance on how to implement and optimise card based solutions, as well as buyers and suppliers misconceiving each other’s preferences regarding payment mechanisms. Understand how businesses are benefiting from significant time and cost savings. Discover the reasons for slow uptake despite such compelling evidence of efficiency. What does the future hold for B2B payment methods?